I gulped my Pepsi and sweated through my shirt, soaking the straps of my backpack wherever it touched my body. My morning had been pretty eventful so far, and transport options certainly weren't getting any easier. After the compulsory fifteen different answers given to me regarding the arrival time of the next boat, one had finally appeared on the Venezuelan speck of land known as Isla Zapara, where I had spent the last three days with my host Walter mixing cement, eating bonus insects in my rice and learning first-hand about the country with the hardest reputation in South America. The sweat pouring out of me wasn't just because of the 40 degree sun beating down on my back. A man with superbly plucked eyebrows and a dash of foundation puckered his lips together and glanced at me as I joined him in line for the next carrito. A brief assessment of the other people milling around the dusty bus terminal eased my nerves a little, nobody seemed to be regarding me as a gigantic dollar sign, which came as some relief. “Under no circumstances”, Walter had informed me, “should you climb on to one of the public buses to Maracaibo. Wait for a carrito.” The crowded public buses, although cheaper, make frequent stops where people climb on and off and they are not always the best places to find yourself as a gringo. 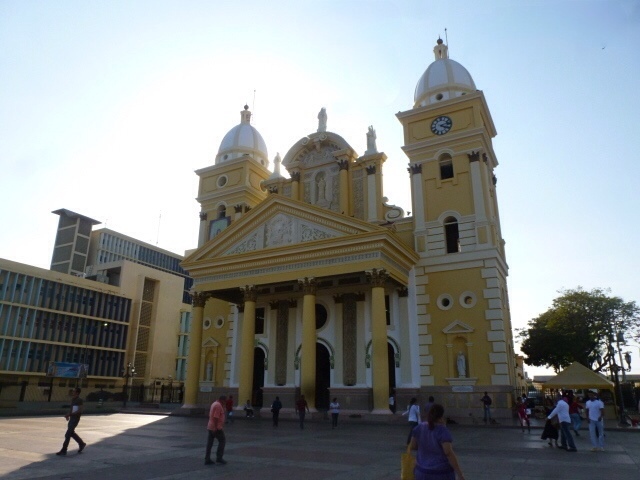 Having arranged my next Couchsurf a couple of days beforehand, my host had agreed to come and collect me when I arrived in Maracaibo, the first major Venezuelan city past the border from Colombia and a short two hour drive south. The church that was, well, churchy. I'd engineered my travel plans to spend as little time in solo transit while in Venezuela, not always easy to do with unmitigated chaos greeting me at most transport terminals and drivers often reluctant to take on attention-attracting gringos with superb facial hair and dashing looks (or maybe that was just me). It took another two Pepsis before I finally reached the front of the line. Not lucky enough to score air conditioning, I squeezed into the 1960s model Ford and pulled the window down slightly with my hand, allowing a hot breeze to blast me in the face as we rattled south. Aside from a few unscheduled stops and an hour long wait in a nondescript Venezuelan town, everything went according to plan. After the lack of home comforts on the island, the thought of running water was enough to get me excited. My host Ricardo showed me my 'couch' and I could barely believe my eyes – double bed, television, air conditioning – it was like walking into a hotel. 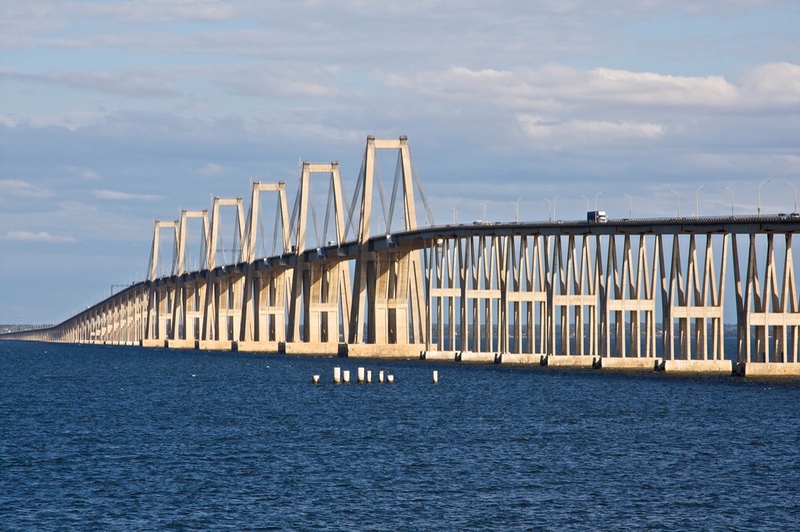 The impressive bridge linking the western cities of Venezuela across Laga Maracaibo is the longest in the world. Tick. Sadly, Maracaibo itself wasn't quite as inspiring. I took the first afternoon to enjoy the air conditioning and lightning fast wifi, choosing to venture out on the second day. Not wanting to attract unnecessary attention I took only the cash I needed, nothing else, and walked a few kilometres into the flat, unattractive city. The markets were hot and dirty, offering little in terms of food and mainly just a centre for westernized, knock-off gear. The city has two main tourist attractions, the church and the bridge, and to even go so far as name them attractions is stretching the friendship a little. I won't get on my soapbox about it here, but let's just say that Maracaibo isn't somewhere I'll be rushing back to. More exciting was the prospect of Mérida, my next planned stop and famous for its vast, wildlife-filled Llanos and the world's longest chairlift stretching into the mountains marking the end of the Andes. It was strange to think that just a few months ago I had been at the other end of the mountains that stretch the length of the continent like a spine camping in sub-zero temperatures. More from Mérida in the next post. ← Isolated on Isla Zapara, Venezuela. Dashing looks?! When was the last time you got a haircut? Well you wouldn’t know because you refuse to network with us socially 😉 Nice to hear from you, Alisa!